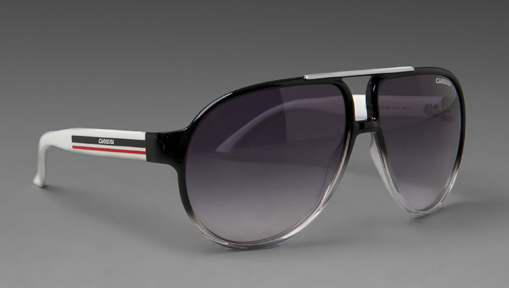 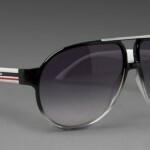 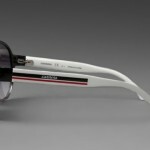 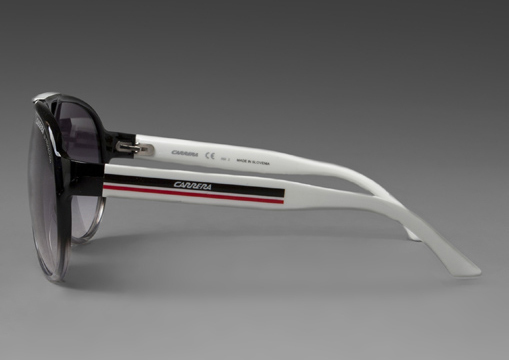 Carrera goes with a retro race-worthy frame in the Forever Mine, a pair of black sporty sunglasses. 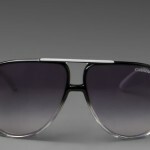 Featuring a big aviator type frame in a classic 1970s style, with detailed arms and a smoky grey lens, these frames will a touch of dynamism and energy to any man. 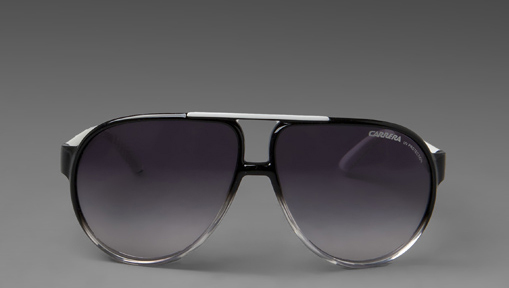 Available from Revolve.